Click here to check SSC CGL Tier-2 Cut off Marks PDF. Congratulation to candidates who have selected for next stage. 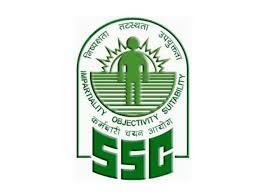 SSC has declared a notification regarding revision in SSC CGL Tier-1 result. 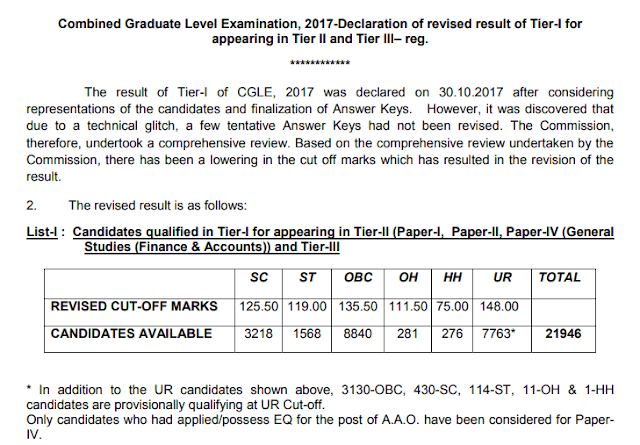 Previously, The result of Tier-I of CGL exam, 2017 was declared on 30.10.2017 after considering representations of the candidates and finalization of Answer Keys. After revision, there has been a lowering in the cut off marks which has resulted in the revision of the result.